If you are looking for a good neighbourhood within Mackay, you may like to check out West Mackay. Appreciate the serene environment as you study the works of art at Artspace Mackay. The Ocean International and Mackay Rose Motel are ideal if you'd like to kick your feet up close by. Appreciate the beautiful atmosphere of Bluewater Lagoon. If this place is more your kind of thing, try The Windmill Motel and Events Centre and International Lodge. 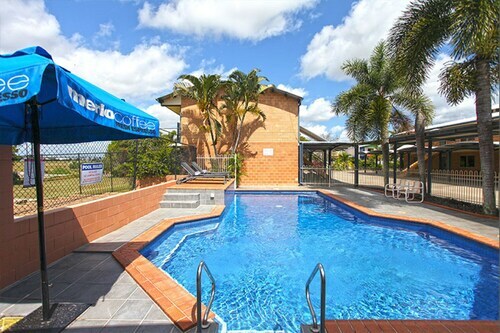 Are you and your travelling partner seeking somewhere more fancy to sleep and relax in West Mackay? 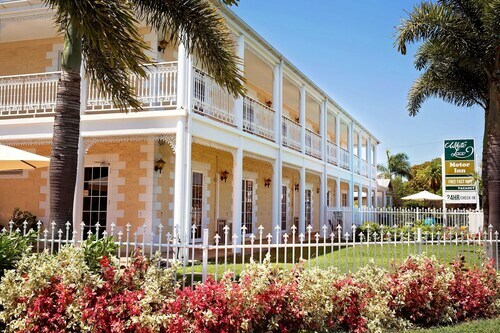 The Coral Cay Resort Motor Inn and Reef Resort Motel are a couple of decent options. Not your best self in the morning? You'll find a mix of great cafes in West Mackay. An early coffee and pastry at Stellarossa Canelands Central is the perfect way to get your day started. No matter how hard we try, our bodies can't run on caffeine alone. Have a look over the menu at Mackay Resort Motel when your tummy starts kicking up a fuss. If you wouldn't say no to a couple of cold ones before you call it a night, why not swing by Windmill Motel and Reception Centre? Who knows, the bartender may even have some tips on where to go tomorrow! It is worth thinking about securing a hotel in Mackay or South Mackay when researching your trip to West Mackay. Mackay is 3 kilometres from West Mackay and South Mackay is around 3 kilometres away from West Mackay. Wotif is ready to whisk you to Mackay or thousands of other amazing destinations, so stop daydreaming and start booking! How Much is a Hotel Room in West Mackay? 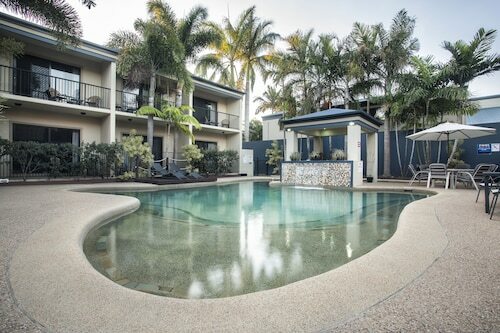 Hotels in West Mackay start at AU$64 per night. Prices and availability subject to change. Additional terms may apply. Very friendly. Lovely complimentary breakfast. Convenient.